Still Waters specializes in intimate small group weddings of up to 70 guests and weekend wedding retreats for those who love nature. We especially love sober weddings for people in recovery but also host other small weddings. We are interdenominational and inclusive. We have space for a 60x40-ft tent on our great lawn. Our ceremony space on goat island features a sunrise yoga platform to seat your guests and a beautiful rose-quartz and moss-infused ceremony platform hand-built by Tao from the original foundation stones in the old 1730s house. There are numerous photo opportunities throughout our art-filled, rustic campus. Our main house accommodates a full weekend wedding retreat where close friends and family can stay the weekend. We look forward to hosting woodland weekend wedding retreats where the couple and closest friends and family stay the weekend while other guests may join for the main event. We are developing a list of delightful caterers, planners, photographers, tent and equipment providers. 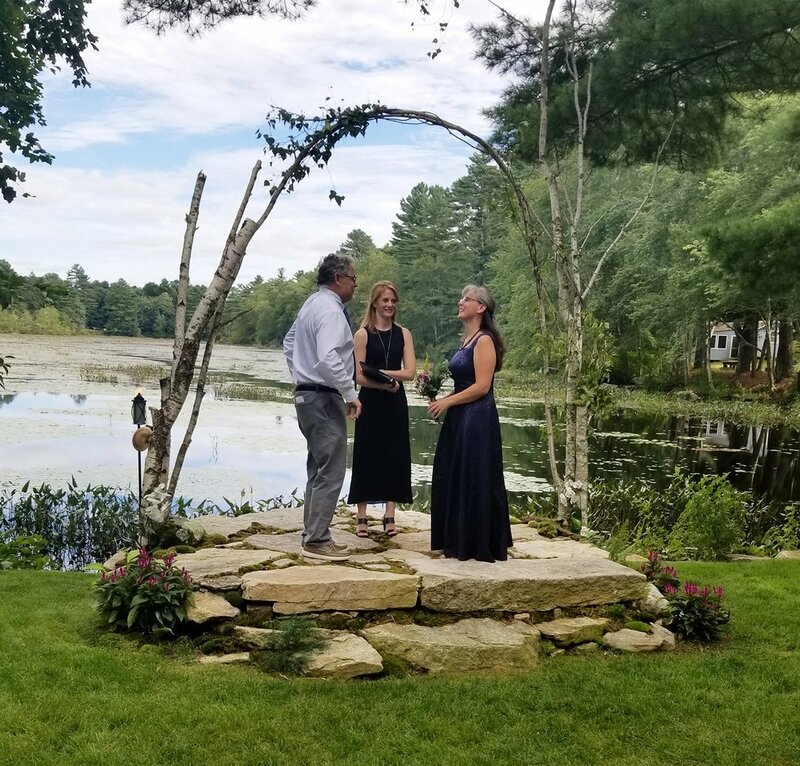 In the years to come, we will envision a post-and-beam event space to host wonderful pond-side weddings without the need for a tent rental. Please be in text or call Amy at 860-543-3244 to schedule a conversation. Tao & Amy had a 2-person art show surprise wedding at an art gallery, then a wedding celebration here at Still Waters -- it was like a second wedding for those that missed the first event. from fancy to casual!